Dell has been working strenuously to reinvent itself ever since it went private last year, and that includes trying products that no one else would consider. While many device makers have tried combining Windows and Android, Windows and Windows Mobile/Phone, or some other combination of disparate OSes, Dell went in an entirely different direction. Take the new XPS 15 laptop, for example. 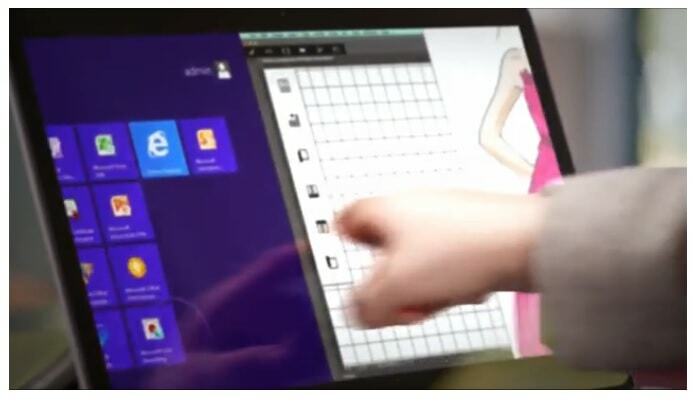 According to a leaked video on the Dell Youtube account, this laptop will run Windows 8 and OSX apps seamlessly. All you have to do to switch between apps is merely swipe the screen. This is all fiction, of course, but it is amusing nonetheless. According to The Verge, one of Dell's ad agencies got a little too exuberant when they were tasked with creating a promo video for the laptop, and their enthusiasm blinded them to the absurdity of mixing Windows and OSX. Which is a shame, because you know that there would be a market for this laptop. I mean, look at the number of Mac users that install Bootcamp (and Windows). I bet they would like a more convenient way to switch between OSes, not to mention a cheaper option for running OSX. Whether or not Dell wants to make it, Apple won’t allow it. The OS is proprietary and is not designed to run on other hardware (no device drivers, for one). Apple tried that once and decided that allowing other companies to make poor hardware versions of their platform hurt their brand too much.